How do you relax after a stressful day? 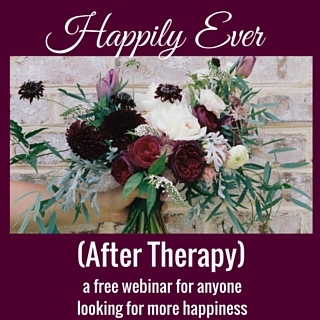 Do you have any practices that help you identify stress and move out of it to a restful, relaxed state? This month’s media pick, Goodnight Mind: Turn Off Your Noisy Thoughts and Get a Good Night’s Sleep by Colleen E. Carney PhD and Rachel Manber PhD, had some excellent practices for relaxation. 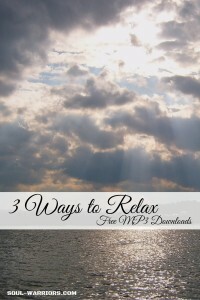 As any type of relaxation really needs to be experienced, not just read about, I decided to create guided audio recording for three of the relaxation practices described in the book. Pick the one that sounds the most intriguing and try it out. (Or try all three!) Each recording is approximately twenty minutes, the recommended relaxation “prescription” from the book. 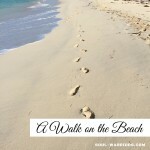 This is a traditional guided meditation of a walk along the beach, followed by ten minutes or so of ocean sounds for you to enjoy. Guided meditations are one of my very favorite ways to relax, connect with my intuition, and create an emotional state of peace. If you struggle with traditional meditation, you may enjoy this relaxation process as it keeps your mind engaged while still creating mental rest. Download it here. Belly breathing (or diaphragmatic breathing) simply means that the incoming air fully fills your lungs, which causes your lower belly to rise. 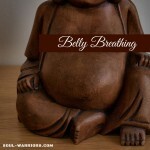 Try out belly breathing with this guided audio to help you. This practice was completely new to me, and I fell in love with it. Basically you tense and release your muscles in a body-scan style. What I loved was the feeling of tension release and the appreciation of that state. Dr. Carney and Dr. Manber state in Goodnight Mind that routinely practicing this exercise will help to build awareness of when you are tense, and the ability to rapidly scan through your body, find the tension, and release it. This practice involves extensive tensing of muscles, so please be safe while attempting it. 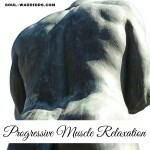 If you have any kind of history of muscle problems, be sure to consult with a doctor before trying it. The authors also state that you do not need to tense as hard as you can – just tense enough to understand what tension feels like. You can download it and try it out here. What do you use to relax? Leave a comment and let us know.